Home Fashion We Just Love Everything About This Saree Look! 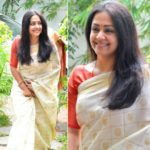 It’s not often we get to see saree style that is so impeccable and on-point all the way. When it comes to draping complex silk, it is no surprise that one or two might take a miss. It could be the inapt color choice or understated accessories or downright wrong hairstyle. Even if everything else falls in its place, you would still be struggling to get your front saree pleats intact. Anything..anything can bring you down from achieving that spotless polished saree look. 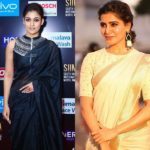 In short, though outside silk sarees are a stunner, getting them look right is not so easy. 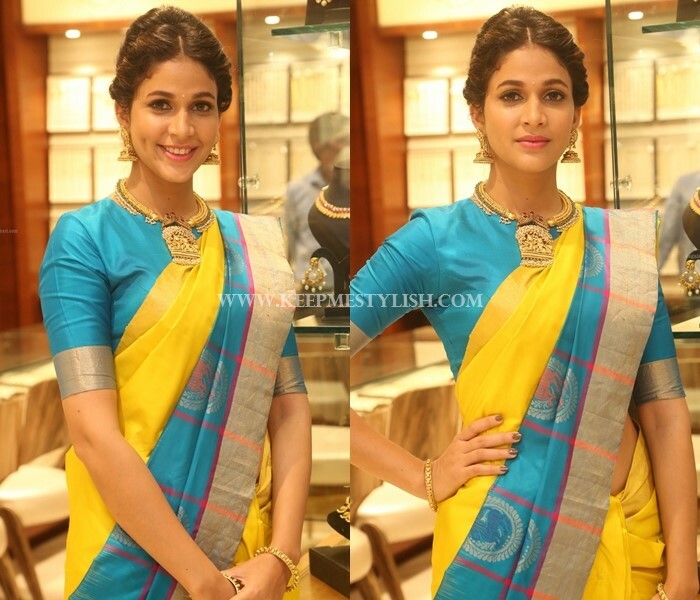 That’s why we were so excited when we saw Lavanya Tripathi looking so flawless on her latest saree appearance, and that too on a silk one. 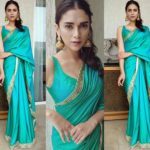 From the appealing saree color to the chic blouse choice and apt accessories to flatter the overall look, everything is a hit here. And the girl looks so radiant realizing that she crossed all the saree hurdles without a glitch. Scroll down to take a look on her appearance that we are so raving about. 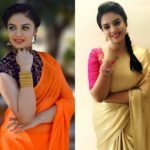 Have you perfected your saree style? Do let us know the battles you need to face when fighting to look good on a saree!